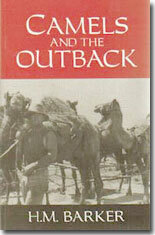 Aussie Outback Books - here are some of my favourite books. Please scroll down page to view them all. I have added information about most of the books and buy buttons. Still some work to do here. Please contact me with any questions. 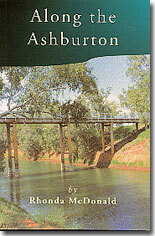 The history of Onslow and the stations of the Ashburton. Rhonda McDonald (nee Stidworthy) spent much of her childhood and married life in country similar to that of which she has written. 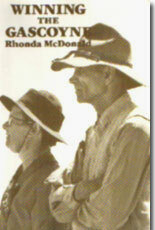 She commenced her schooling at Onslow in 1936 and finished it at the Presentation Convent Carnarvon, along with some of the people mentioned in this book.After leaving school Rhonda worked on the Carnarvon telephone exchange before becoming Gascoyne Traders' first secretary. 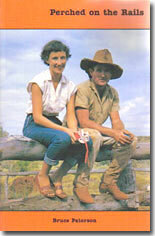 Eventually she married Allan McDonald of Mangaroon Station, where they lived until their retirement to Perth. A fascinating window into the life of a bush station and the people who live and pass through there. 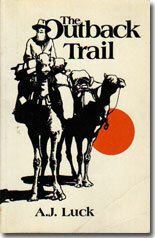 The acute powers of observation and vivid recollection of years spent in the bush that characterised his Camels and the Outback are again delightfully shown by H.M. Barker. After highlighting the achievements of some of the best known of the early pioneers - Hawden, Tyson, de Satge, Sutherland, Gray, Buchanan, Christison and Cotton - he introduces the pleasures, rigours, vagaries and discomforts of droving as he experienced them. The story of the Canning Stock Route's construction. 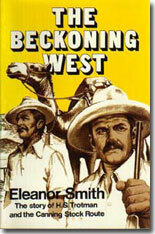 Eleanor Smith, who was a nurse before her marriage in 1930, travelled extensively in the outback. 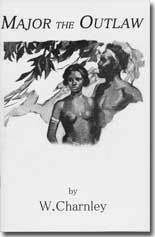 She became fascinated with Trotman’s stories and spent day after day by his fireside listening and taking notes until his five expeditions fell into place and she was able to reproduce them 'in Trotman’s own words'. She has performed a remarkable feat of listening, organising and writing to enable Trotman to tell his story in the first person, in a rich, economical and always convincing style. This edition includes 23 pages of illustrations. United Kingdom immigrants in the 1800s who became settlers in Western Australia. An important social history and of great genealogical interest. Contents: Part 1:The first Bride Ship, Doubtful Anchorage - the Servants' Home..., Fair winds and Foul, Any Port in a storm - country Immigrant Dep, The Doldrums - Gov. Kennedy imposes Economics, Winds of Change - Gov Hampton at the Helm, Setting a new course - after Transportation of Convicts Ceased, Full Steam ahead - into Troubled Waters. Part 2. Choosing a husband - Mary White's letters, The Broad Family...., Immigrants at the Toodyay Immigrant Hiring Dep,Julia Tighe - an Irish Needlewoman, Murder, Benjamin Piggot's servants at Springhill..., Exiles wifes as Immigrants, Elphick's Dilemma, A Labourer's lot- Alfred Gittens, Turton, the Miller at Dongara, Builders at East Perth, Joseph Wright, a letter writer. The story of Mangaroon Station and its development by the McDonalds from 1923, including the discovery of the magnificent Star of Mangaroon gold mine. Droving and station life on Ilgararie and Bulloo Downs Stations in the upper Ashburton north of Meekatharra in Western Australia. 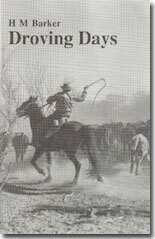 This collection of stories on old time cattlemen gives an insight into their lives, their country and their droving exploits. Peter Hall writes of a way of life now changed forever by modern transport and communications. 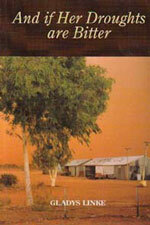 The author has spent his life among the people and places he writes of in these plain tales from the bush. 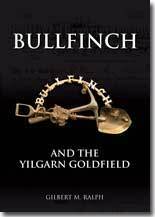 Bullfinch and the Yilgarn Goldfield had its beginnings with a suggestion from Sir Laurence Brodie-Hall that the unique nature of the community at Bullfinch during the Great Western Consolidated era from 1950 to 1963 deserved recording. 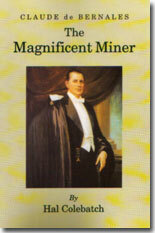 Sir Arvi Parbo, who began his mining career at Bullfinch, supported the concept and they encouraged Gilbert Ralph, a retired Executive from Western Mining Corporation, to write a history of Great Western and Bullfinch. Gilbert has taken five years to research and write this history. An essential handbook that deals with the very sensitive and taboo subject of family business succession. The author believes she has found a way for families to deal with and resolve this issue. 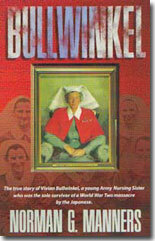 The Vivian Bullwinkel story takes the reader through her early years in Broken Hill and her struggle to become a certified nurse. She joined the A.A.N.S. at the outbreak of war in Europe and enjoyed the balmy days of pre-war Malacca and Singapore until the surprise attack by the Japanese in December 1941. 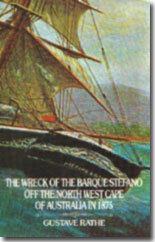 ISBN 0 85905 153 6, (1991 new), Hard Cover, 310pp, illustrated, 530grams, $35.00 plus postage within Australia only. 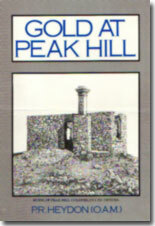 The story of the discovery of gold in 1892 by Wilson and partners, the history of the town and Peak Hill area and its characters, all now gone. The Author Phil Heydon commenced his working life in the Post Office at Cue, in 1935, as a Telegraph Messenger. He worked in most Murchison goldfield towns, returning to Big Bell as Postmaster in 1947 and retired as Postmaster at the General Post Office, Perth. He was awarded the Queen's Silver Jubilee Medal in 1977, and the Medal of the Order of Australia in 1979. 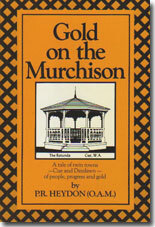 Gold on the Murchison is the story of Cue, Day Dawn and Big Bell and the part the towns and their people played in the development of Murchison gold. From the first rushes in the 1880s and the hardships of the pioneers to Cue's status as the 'Queen of the Murchison', the decay to ghost towns, oblivion and eventual rebirth. The Author Phil Heydon commenced his working life in the Post Office at Cue, in 1935, as a Telegraph Messenger. 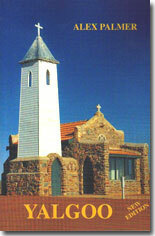 He worked in most Murchison goldfield towns, returning to Big Bell as Postmaster in 1947 and retired as Postmaster at the General Post Office, Perth. He was awarded the Queen's Silver Jubilee Medal in 1977, and the Medal of the Order of Australia in 1979. 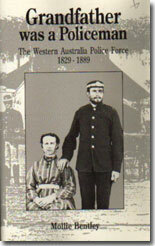 Traces the early Western Australian police force from its inception to the 1890s with an emphasis on the men who served in it. 1896-1953, was born in Lancashire, England and arrived in Western Australia as a youth of twelve with his family to go farming at Dongerlocking. At the start of World War I he enlisted in the 28th Battalion, attaining the rank of Corporal and served in Gallipoli and France, where he was twice wounded. In 1926 one of the most diabolical murders to ever take place in Western Australia was committed. Two members of the Goldstealing Detection Branch of the West Australian Police Force were murdered near Kalgoorlie, and their bodies partly dismembered and burned. The remains were then taken to a mineshaft and unceremoniously dumped. A gold processing plant was then thrown on top of the mutilated bodies. 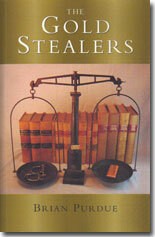 This book reports all the known facts of the case. There are no imagined histrionics or manufactured conversations. Some of the photographs have never been previously published or even seen before, except in Court. An enchanting tale of the lives of three little girls who grew up on a sheep station in the East Murchison district of Western Australia in the 1930s and 1940s. 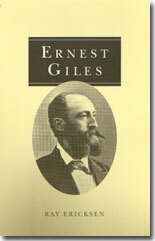 Between 1872 and 1876 Ernest Giles led five expeditions into Australia's western interior, during which he discovered more land than any other explorer of this continent. Fiercely individualistic and driven by a desire 'to be the first to penetrate this region', Giles proceeded without official support. Despite initial setbacks and the seemingly impenetrable wilderness that confronted him, Giles never weakened in his purpose or his love of exploration. 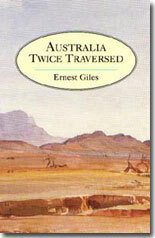 This was partly due to his being a romantic - any situation, even the most desperate, was an 'experience', capable of stimulating his poetic imagination and his talent for writing.....This definitive study of Giles is also a stimulating contribution to the history of Australian exploration. 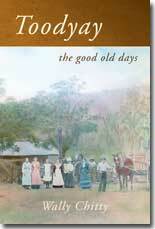 Vivid reminiscences of the life in the North West of Australia from the 1880s to the 1930s. Gold, pearling, aboriginals, diamonds, murder and madness in the great but empty North. 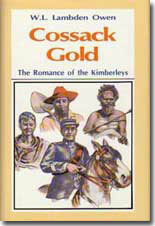 The discovery of gold at Coolgardie filled thousands of young men with eagerness to try their luck on the new field. Gaston recalls the dust that was ever present, willy-willies, flies and ants in myriads, water bags, camel teams, summer heat, winter cold, typhoid, crowded hotel and bars. 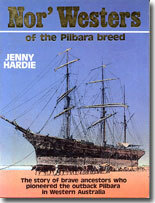 A classic of Australian exploration in one volume, including maps. 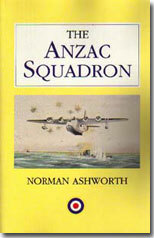 ISBN 0 85905 198 6, (1994 new), Soft Cover, 140mm x 215mm, 285pp, illustrated, 350grams, $33.00 + POST The Anzac Squadron is the story of 461 Squadron, Royal Australian Air Force, formed in Britain on Anzac Day 1942. The Sunderland Flying Boat Squadron spent the next three years opposing Admiral Doenitz's U Boats in the battle of the Atlantic. The young Australian and British air crew flew their boats in search of the ever-elusive U Boats while the Luftwaffe JU88 fighters hunted the hunters. From this combination came both excitement and tragedy. This is a story not only of the moments of excitement that punctuated the otherwise long monotonous patrols but also back at base where aircrew and ground staff alike had to face the rigours of wartime Britain, far from their homes and loved ones. It is a story told largely by those who took part, in their own way and in their own words. 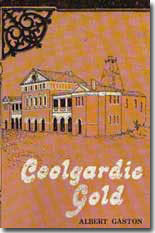 The history of the goldfield's town, its rise and fall and the life of its people. What a life Jeanie Crago portrays, in A Look Over the Edge. The book is full of adventure! From Mt Barker to Meekatharra, Millstream to Mt Newman and well beyond, this is a crisscross trip around Western Australia. 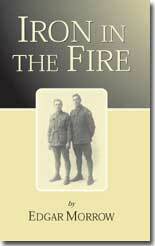 ISBN 978 0 85905 472 0, New 2009, 236pp, Soft Cover, 310grams, $33.00 plus postage in Australia only. 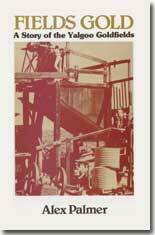 Prospecting in the Northern Territory, Queensland, New South Wales, Victoria and Western Australia through the 1870s ,80s and 90s. Destined to become a bush classic. 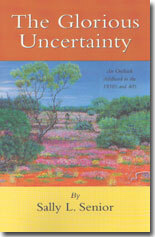 ISBN 978 0 85905 479 9, New 2010, 181pp, 320grams, $30.00 plus postage within Australia . This novel, set in the 1930s in the far north Kimberley region of Western Australia, not only is a story of enduring love and revenge, both European and Aboriginal, but a portrayal of life on a remote cattle station where access and transport were both limited to slow. 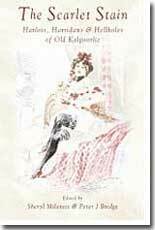 ISBN 0 85905 311 3, 1981 reprint of 1903 edition, Soft Cover, 62pp, illustrated, 110grams, $12.00 plus postage within Australia only. 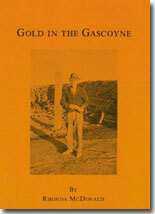 Greaves was the discoverer of the Yilgarn goldfield in 1887. 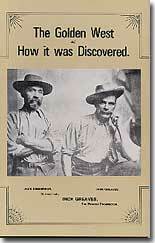 A detailed account of the discovery and its results for Greaves and his partners. 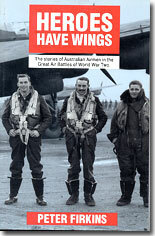 ISBN 0 85905 145 5, 1991 New, Hard Cover, 310pp, illustrated, 550grams, $40.00 plus postage within Australia. 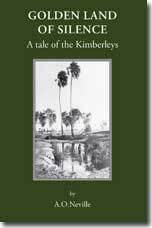 A magnificent collection of reminiscences of the early days of Kimberley: the gold rush, droving and police work in the Northern territory with 100 illustrations of the period. 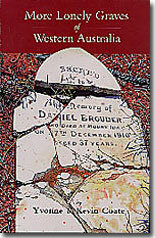 ISBN 978 0 85905 263 4, 2007 New, Reprint 2010, illustrated, 144pp, 200grams, $22.00 plus postage within Australia, this edition has been reset and proofed. Julius M Price, special artist and correspondent of the Illustrated London News, journeyed through Western Australia in 1895, writing of and sketching the scenes of bush life and goldmining in the Eastern and Murchison goldfields. There is little more heart-breaking for parents than to lose a child, especially one of tender years, in whom love and dreams for the future were the warp and weft of a preious tapestry. The technique of loaming has found many new gold mines and millions of $ of gold. 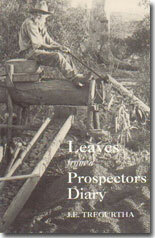 this book by the 'Prince of Loamers' is an essential handbook for prospectors. It gives the potential for the creation of wealth. 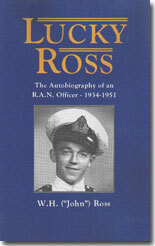 John Ross served on the HMAS Sydney and HMAS Canberra. This unique account is a classic. 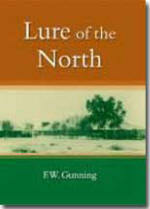 Lure of the North is a story of George Gooch and the opening up of the Gascoyne. 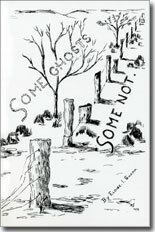 Long out of print and reaching $600.00 plus as a rare book, it has been reprinted courtesy of the Gunning and Gooch families. This new facsimile, limited edition, is case bound with a dust jacket. "Major" was a fine type of Australian black-fellow, and might have lived and died as a useful member of society but for the deep laid vengeance of "a woman scorned". Plotting with Machiavelian cunning, she first induced him to commit murder and then helped the police to hunt him down. Finally, when a bullet had put an end to his ill starred career, she proceeded, like a dutiful wife to mourn his loss! 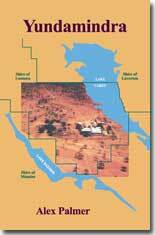 The history of Meekatharra, its people, mines, stations, bushmen, drovers, prospectors, townspeople and more. 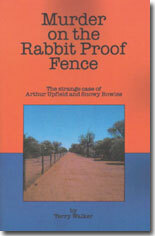 Snowy Rowles was hanged on circumstantial evidence for the murders on the lonely Rabbit Proof Fence. 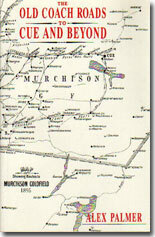 The first township on the Mrchison Goldfields. 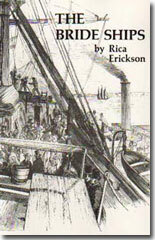 The finding of gold, controversy surrounding its discoverers and the life of the people and characters of the town. 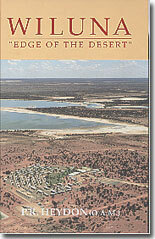 Wiluna - "Edge of The Desert", celebrates the Centenary of Wiluna, and covers the period 1886-1996. 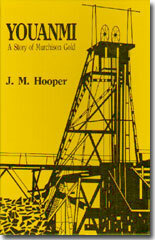 It tells of the three phases of gold mining; of a vibrant town of 9,000 people at its peak; of the reminiscences of 80 people living in the town and on pastoral properties. 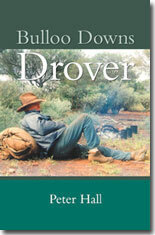 Tales of drovers coming down the Canning Stock Route and policemen searching for murderers, aboriginals and lost prospectors are some of the stories from that lonely area on the edge of the desert. 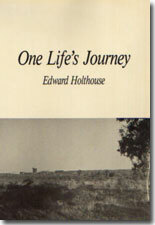 This book is one man's story of life in the rural community of Toodyay, about 65kms north-east of Perth, Western Australia. 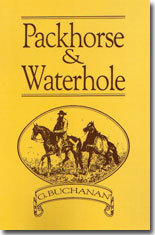 It begins in the 1830s and describes the forging of roads and railways into the area, the Avon Rier, flora and fauna, early farming practises, businesses in the town, schools, industries, occupations, entertainment, sporting events, amazing incidents, local disasters and the effect of two world wars on a small town. But most of all, it is a story about people and the legacy they have left for those of us who are proud to call toodyay home. Featuring over 1000 people. 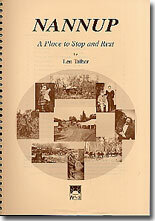 Illustrated - over 150 photographs and includes reference maps. 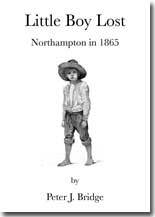 The author is a member of a well known local pioneering family. 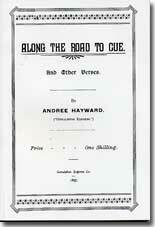 Charles Wiltens Andree Hayward born in Huntingdon, Hereford 21/7/1866. Arrived W.A. 1894. Became a lawyer, poet and newspaper editor and one of the greatest influences on the developing high culture of the Westralian goldfields. This is a collection of his verse, a biography and literary criticism. 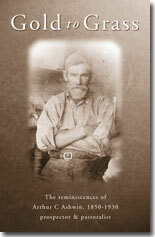 This is probably the best documented biography of a W.A drover. It covers from the Murchison to Kimberley and the people of those districts. A bush classic. "Aboriginal people have a strong cultural heritage and a continuing interest in their past history. Now there is an awakening of interest in things Aboriginal.....To date there has been a lack of written material about Aboriginal history and this has frustrated both Aboriginal and non-Aboriginal people who seek to learn of this important part of Australia's heritage. Carnarvon writer-artist-photographer, Bryan Clark, has demonstrated a genuine interest....thisbook will fill a huge gap in the understanding of Aboriginal people. their history and their culture on behalf of many modern Australians. 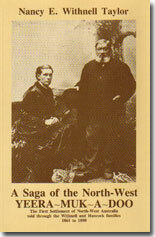 It also serves as an important addition to the recorded history of the north-west" Ernie Bridge, J.P., M.L.A. 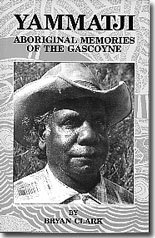 Former Minister for Aboriginal Affairs (Western Australia) The book has Biographies and history of aboriginals of the Gascoyne with many photographs and drawings. 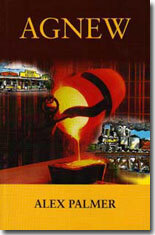 ISBN 978-0-85905-467-6, (2010), New edition updated to 2001, with 11 more pages. 115pp, illust., 170grams, $22.00 plus postage within Australia only. Paynes Find, 400km north of Perth, is one of Western Australia's most isolated towns and to most people represents nothing more than a fleeting change in the scenery when travelling the Great Northern Highway. White Feather is the story of the old goldfield town of Kanowna, from the time gold was found by Jerry McAuliffe in October 1895 through to the 1980s. 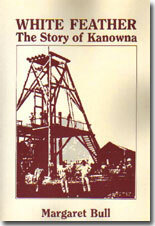 Kanowna, originally known as White Feather, was in its heyday one of the richest goldfields in Western Australia outside the famous Kalgoorlie-Boulder golden mile. White Feather is a social history concerned with the discovery of gold and the early years on the find, life and conditions at Kanowna during its rapid growth, the steady decline of the field after the end of the 1890s, and some of the more important figures involved in the town's story. 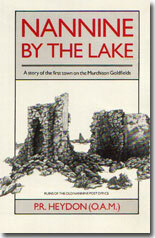 ISBN 0 85905 370 9, (2006 new), Soft Cover, 138pp, illustrated, 190grams, $22.00 + POST Lakes Raeside and Carey are the remnants of two ancient river systems... Cradled between their shores are found the old gold mining centres of Yundamindra Linden, Pennyweight Point, Pykes Hollow, Eucalyptus and Yundamindra Pastoral Station. Their story, together with the lives of the folk, black and white, who forged a living here over the years are brought together by Alex Palmer in the pages of Yundamindra. A new day dawned for Day Dawn WA, following a rich strike at Mountain View. A group of Italian prospectors at Day Dawn in the 1940s, down to their uppers, defying the advice of experts, persevered for four years before they finally struck it rich...Their bonanza supported the old saying; 'Gold is where you find it'. 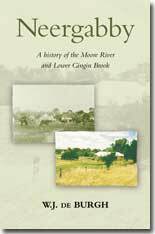 These pages were written to give an insight into the history of Chinginarra, Deepdale, Mardie, Millstream, Mt Enid, Red Hill, Warramboo, Yalleen, Yarraloola & Yathala Stations, between the Robe and Fortescue Rivers - not how they were run, but how they developed and to protray a picture into the hardships of all who lived and worked on them. Some of these stations still exist and others have been integrated into neighbouring properties. By the late 1890s the Kalgoorlie brothels had become a byword for degradation and the most flagrant in the English-speaking world. The Sun newspaper campaigned against the outrageous displays by the prostitutes, the activities of their bludgers and the vested interests of the landlords and sly grog traders. 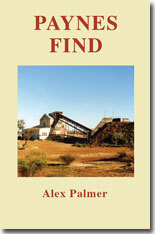 This book details that campaign and shows a vastly different old Kalgoorlie to that usually depicted. 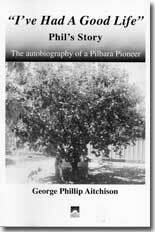 This book is: Dedicated to early Nor-Westers of the Pilbara breed, who, like my husband's family have an association with the Port Hedland area that goes back to those first hard 100 years. Those stout hearted men and their faithful wives weathered hardships we will never experience in this modern age. They set for the preceeding generations high standards of courage, strength of character and sheer determination in their efforts to tame and wrest a living from a demanding land. Some were successful, some failed. This book is written humbled by a feeling of deep respect for all those early pioneers and encouraged by a genuine love of the area. 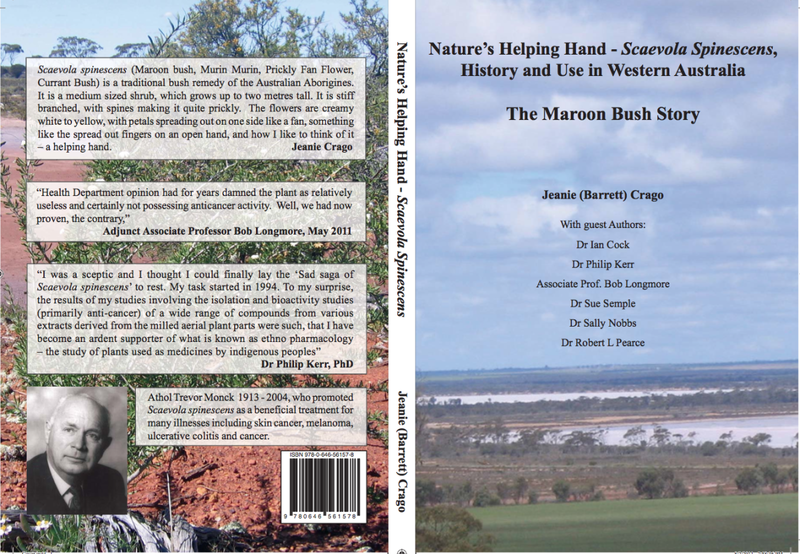 This book is the result of my 5 year dream to bring together a comprehensive resource on over 60 years of history of Scaevola Spinescens in Western Australia. see more information here. ISBN 0 85905 195 1, (1995 reprint of 1980 edition with new material), Soft Cover, 259pp, illustrated, 340grams, $30.00 plus postage within Australia only. 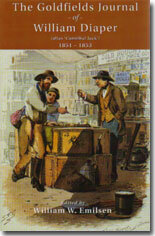 The greatest of the Western Australian 1890’s gold rush reminiscences. 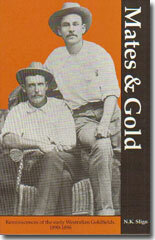 Mates and Gold tells of bush life in the Western Australian desert, dangerous journeys and lonely deaths by typhoid, thirst, murder, spearing and retributional massacre. Vast new goldfields, gold won - and lost. Of bush mates and memories of a life long past. 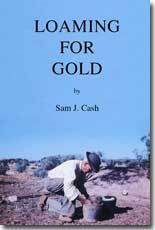 Mates and Gold is an insight into the fortitude and humour with which the early prospectors faced the harshness of the goldfields. 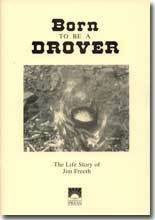 It is one of the few books on the great 1890s goldrush written by one of the original prospectors. 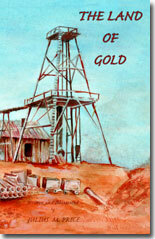 "This is an awesome book, an amazing insight into how rich the goldfields were in the goldrush times, I have heard it referred to as the prospectors bible and I can see why!" Jeanie Crago. "We built no heroes, but we left no bones." - This remark, said by a colleague, sums up the meticulous planning and execution of the expeditions led by Richard John Anketell. 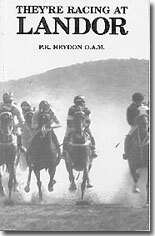 ISBN 0 85905 191 9, (1993 reprint of 1979 ed), Soft Cover, 140mm x 215mm, 91pp, illustrated, 150grams, $22.00 + Postage within Australia. 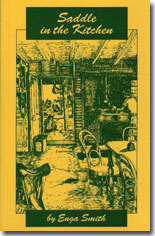 Saddle in the Kitchen will appeal to people of all ages who value a happy home and the simple pleasures of country life. Enga Smith's 'Memories of a Childhood' evokes an atmosphere of love and tranquillity, whilst filling the days with a sense of wonder and adventure. 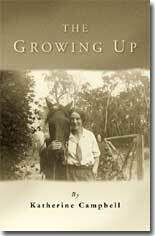 This is an absorbing, beautifully observed and tenderly recorded account of a young girl's childhood on a Western Australian farm in the 1940's. Anyone with even a passing acquaintance with life in the bush will happily identify with the setting and incidents. 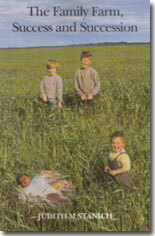 Those who prefer just to read about it will find this account of a country childhood completely fascinationg. 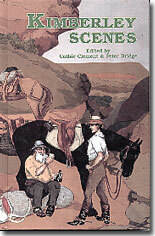 Saddle in the Kitchen is a classic of Australiana which will be read and re-read with pleasure for generations to come. Mrs Garnsey was a nurse at Coolgardie amidst the rsh and typhoid. A bush classic. 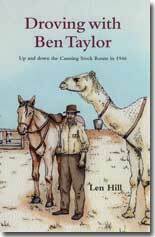 An essentially Australian autobiography of a pastoralist and his station life in three States. Set mainly in the North West of Australia. A great read in laconic style. ISBN 0 85905 237 0, 1984 Reprintof 1933 ed. 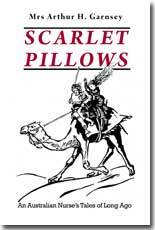 with new material, Soft Cover, 130pp, 180grams, $22.00 plus postage within Australia. Luck was one of Western Australia's most experienced bushmen when he passed on his bush skills to David Carnegie, who later wrote the classic Spinifex and Sand. 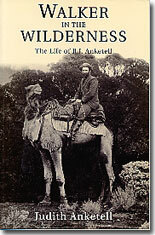 Luck writes of his life and experiences in the bush, camels, natives, prospecting, people, and more, in a fascinating story of the 1880s to 1930. 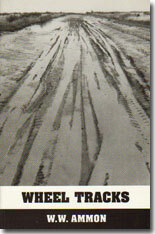 The story of the tracks to the Murchison Goldfields and the people who made and lived at the wayside coach stations. 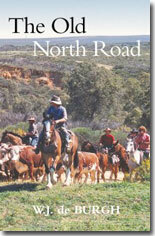 ISBN 9780 85905 441 6, Soft Cover, Section sewn, 264pages, 355gra,s. $35.00 plus postage within Austalia only. 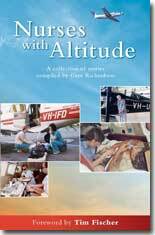 A collection of stories by the nurses and their colleagues at the Royal Flying Doctor Service in Western Australia. 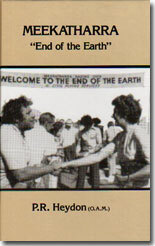 Compiled by Gaye Richardson in conjunction with the Flight Nurse Reunion Committee. 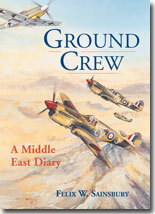 Probably the best book on the RFDS, written by the staff from their own experience. 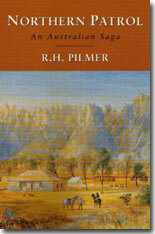 Experiences of a mounted policeman in the Western Australian outback in the 1890s and early 1900s. 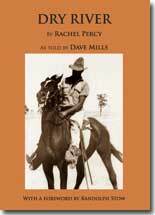 Accounts of native murders, horse stealing, gold rushes, the outlaw Pidgeon, Canning Stock Route, Wiluna, Kimberley, and more. 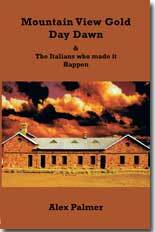 The history of Gingin, the surrounding area and its people.